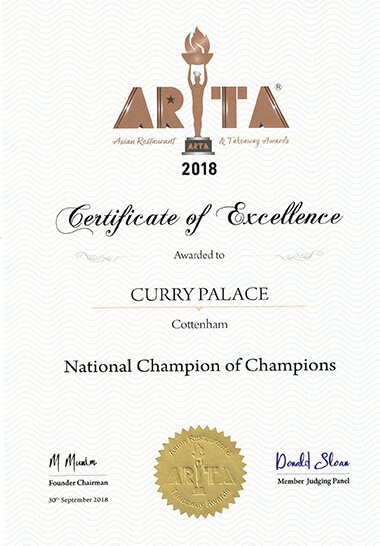 At Curry Palace Cottenham, we believe that Unique has no equal and thus we take a great deal of care to give our customers quality food, professional service and a top quality dining ambience combined to make Curry Palace an unforgettable experience. Our extensive menu will satisfy the palate whatever you taste. Here, we offer a variety of cuisines including Kashmiri, Bengali, Madrasi and Fusion dishes along with many more. We offer both a dine-in and a takeaway service. In both cases food is cooked to order using the finest and freshest ingredients. The Palace is open every day including Bank Holidays. 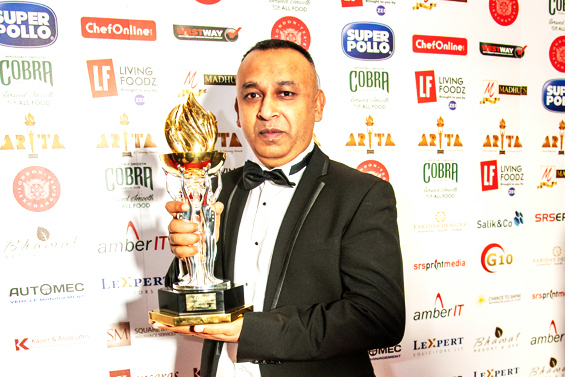 We are proud to say that we, at Curry Palace, look forward to serving you and giving you a memorable peep into Asian cuisine and hospitality! An assortment of tandoori chicken, chicken tikka, lamb tikka, sheek kebab all cooked with onions, green peppers, garlic and shahi jeera in a thick sauce and served with special rice. Mild dish cooked with onions, fresh cream, coconut and almond powder. Chicken and mince lamb cooked with chef’s special recipe. 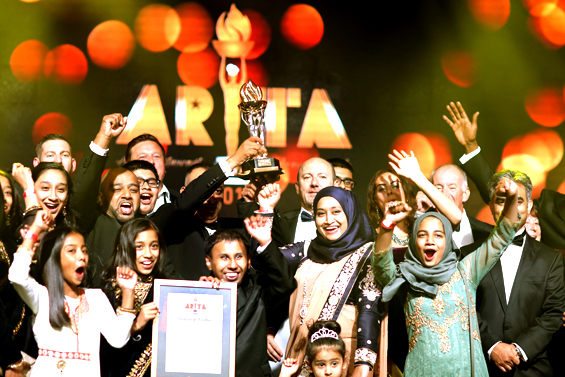 The owner of Curry Palace, Miah, started working in the restaurant trade since 1992, to which he gained more knowledge and experience on culinary skills. Growing up in a Bangladeshi family, he had been exposed to a variety of quality dishes, made by his mother, where he could transform into appetising cuisine. He has travelled the world and learnt about different spices and flavour combinations, inspiring him to create menus with a unique twist. From this, Miah aspired to broaden his horizons and start his own establishment, in 1995, where he can share his dishes with everyone. 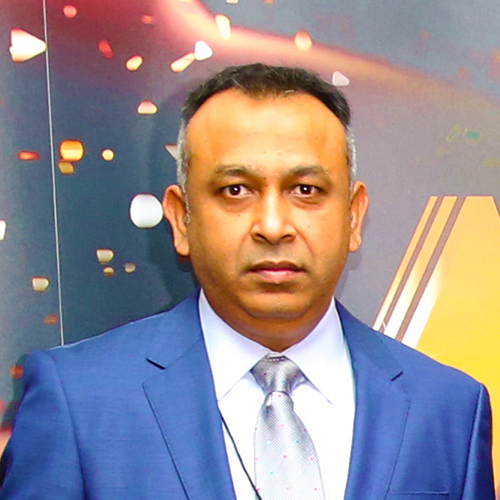 With his passion and desire, he progressed further and has managed to run another successful business with the support of his loving family and faithful customers, which was the start of Curry Palace. 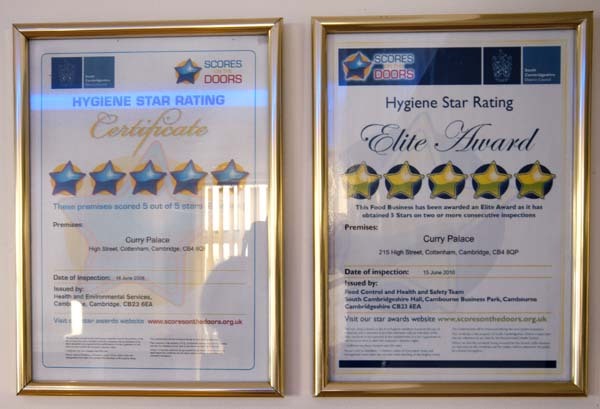 Originating in 1999, Curry Palace is recognised for its mouth-watering dishes, which is very much enjoyed by the countless number of loyal customers, daily. To this day, Curry Palace is thriving and booming with the endless support of customers, which is always appreciated. The restaurant is always improving every day, as its recent renovation has resulted in an extension, due to the high demand of customers. We are always happy to cater to customers’ needs, and will always continue to do so.